Call us today for a free in-home estimate for your modern staircase. We are fully equipped to design and install all types of glass, stainless steel and cable systems. 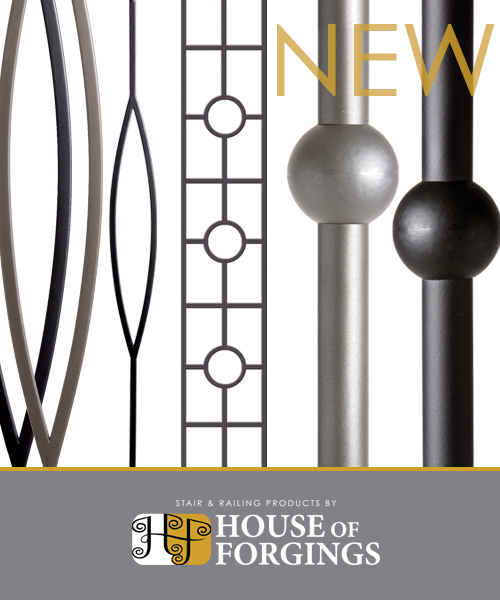 We are proud to present our newest product, Endecor, a patent pending iron baluster design. Click Here to download the Endecor Product Catalog. We now offer a complete safety rail service for residential construction in Houston Texas. Avoid severe financial penalties from OSHA and unnecessary lawsuits from injured workers resulting from a failure to install proper fall protection. IronWood Connection is proud to be a part of 2011 Southern Living Showcase Home by Morning Star Builders in the Hidden Falls Subdivision in Cypress, TX.